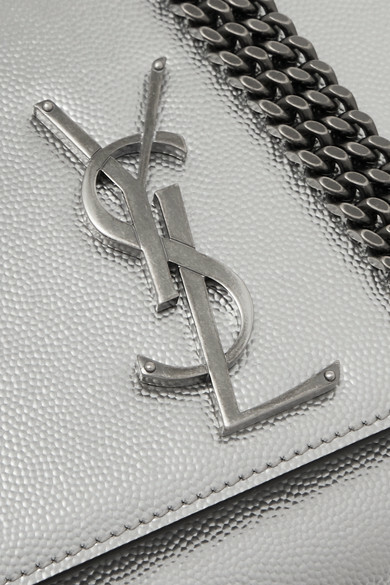 Saint Laurent's 'Monogramme Kate' shoulder bag is punctuated with the Parisian label's iconic 'YSL' plaque, but this time it's in silver rather than the traditional gold. 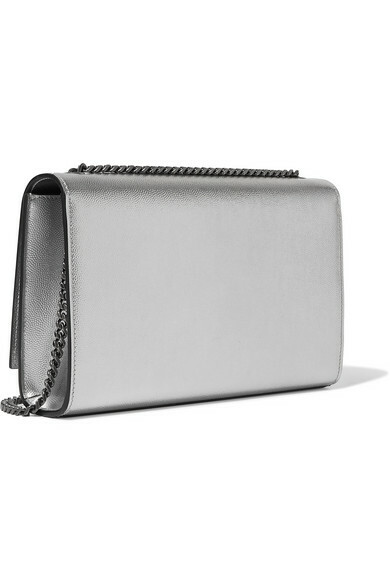 Made in Italy from shiny textured-leather, this small version of the cult-favorite accessory offers enough space for your phone, wallet, keys and lipstick. 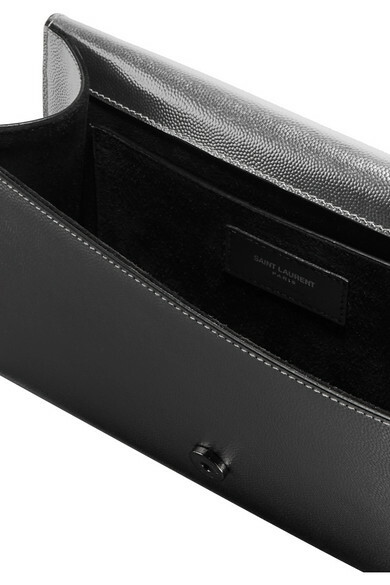 The sliding chain strap can be doubled up for a shorter drop. 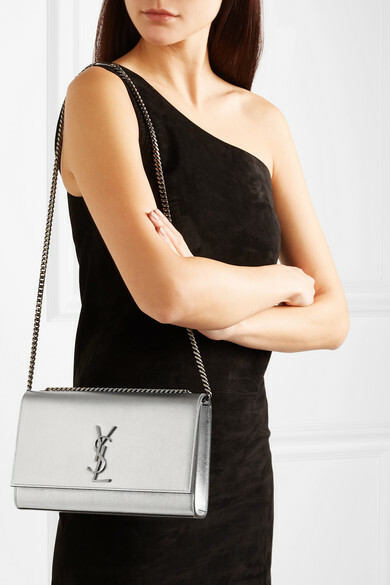 Shown here with: Saint Laurent Mini dress, Saint Laurent Pumps.